I know what mint is and I am sure you know it too. But, how many types of mint are there? Are you curious? Join me to find out more about mint leaves – besides its varieties, you will get to know the mint leave benefits and how to use mint leaves, should you have plenty of them. Waste not. Start off with a short story – I was doing my grocery shopping the other day when I saw bunches of mint leaves at the herbs counter. Upon a closer look, it was labelled as peppermint. Looked at another, it was spearmint and another was apple mint. Exactly how many types of mint are there? Even though you know what mint is, still I’ll explain it here. Mint is a perennial and wide-spreading herb that has a tangy fragrance with a strong menthol aroma. Known to have originated from Asia and the Mediterranean region, now mint plants grow on every continent except Antarctica. They grow well in both sunny and shady areas, and exceptionally well in moist, cool locations. The leaves and stems are harvested for numerous culinary and medicinal uses. They can be used fresh or dried. Fresh mint leaves are best consumed on the same day they are harvested. Although they can be stored in the fridge for several days. They are commonly used in Asian and Middle Eastern cooking. Dried mint leaves have a longer shelf life when stored in a cool, dark place in an airtight container. Mostly used in American and British dishes. The term “mint” is an umbrella term for the Mentha plant family that includes spearmint, peppermint, orange mint, apple mint, pineapple mint and many more. Each variety has its own distinct flavour. There are many different types of mint but share one primary characteristic – bright green herb with oval-shaped leaves that release a refreshing aroma when bruised. It is estimated that 20 species existed with hundreds of varieties. The tastes and uses of these plants vary. Apple Mint – smells like Granny Smith apples => used to make tea, added to salads or as a garnish. Basil Mint – spicy scent with light notes of basil => pairs well with eggplant, tomatoes and zucchini. Chocolate Mint – minty with subtle chocolate-like flavour => goes well with desserts and as a garnish for ice cream and sorbets. Curly Mint – flavour is similar to spearmint => used in most culinary dishes. Ginger Mint – apple/ginger fragrance => excellent for making tea and a great addition to the salad. Also called Scotch mint. 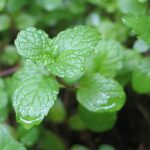 Japanese Peppermint – strong menthol fragrance => used to flavour tea. Lemon Mint – refreshing minty lemon scent => used in the mint sauce or fruit dishes. Orange Mint – citrus flavoured => used to flavour teas and fruit dishes. Pennyroyal – strong peppermint scent => used as flea deterrent or pest repellant. Do not consume. 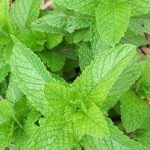 Peppermint – intense sharp-minty flavour => used to flavour candies and desserts and to make hot or cold tea, cordials and liqueurs or as a garnish for punch or fruit. Pineapple Mint – young leaves have a tropical fruit flavour, older leaves are mintier => use young leaves to flavour salads, cool drinks and fruit desserts. Spearmint – strong flavour and fragrance => used to flavour sweets and beverages and in cooking for many recipes. Water Mint – scent can vary from musty to strong peppermint => used to flavour tea. Since peppermint and spearmint are the most common types, let’s get to know more about them. Peppermint is the best-known variety of mint and it is a hybrid of spearmint and water mint. It has a sharper flavour and more intense aroma, giving off a classic smell which comes from menthol when its leaves are bruised. Spearmint is the most widely grown of all mints and widely used for culinary purpose. It has a sweet taste that comes from carvone. Its most widespread use is Wrigley’s® Spearmint Gum. Both spearmint and peppermint have menthol in them but peppermint contains a higher menthol content that is 40% versus .05% in spearmint. In fact, peppermint and spearmint can be used interchangeably in sweet and savoury dishes alike. Mint and lamb is a classic pairing. Mint goes well with roasted meat too and other lighter dishes like a simple vegetable dish. It is also good for yoghurt lassi, tea and desserts. Obviously, mint and chocolate are the best of friends. 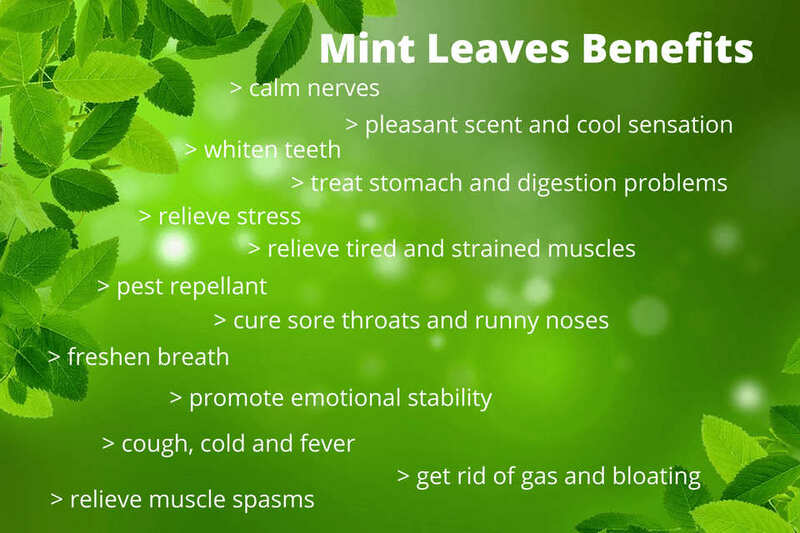 Mint has a long history in treating stomach and digestion problems and to freshen breath. The dried leaves were used to whiten teeth and as a pest repellent. Today, mint is still being used in medicine, beauty products and as food flavourings. Mint contains a high amount of nutrients, vitamins and minerals which are vital to maintaining good health. 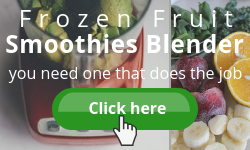 Rich in vitamins A and C, with a smaller amount of vitamin B2. Its minerals include calcium, zinc, copper and magnesium. Peppermint is used in curing sore throats and runny noses. The oil of this plant is considered to be an excellent rub for tired or strained muscles. Used in aromatherapy, the scent helps to relieve stress and promote emotional stability. Peppermint leaves give a pleasant scent and a cool sensation to the skin when incorporated into shampoos, soaps and body washes. Many types of toothpaste also rely on it to help leave a pleasant taste in the mouth. Peppermint helps to get rid of gas and bloating too. Click here to read more. Spearmint is used to treat nausea and relieve muscle spasms. The sweet flavour of this mint makes an excellent beverage for cold, cough and fever. Also, the mild brings in a relaxant property for good sleep and calming nerves in the body. At home, there are many simple and common ways to use mint leaves. A calming cup of tea – steep a few sprigs of mint to two cups of hot water. Alternatively, add a few mint leaves to a cup of tea. Refreshing cold drink – add a bunch of fresh mint leaves into drinking water or lemonade. 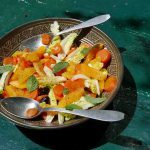 An enticing bowl of salad – chop a few mint leaves or use as whole and add to your salad. Add mint to your regular pesto sauce to jazz it up. Make a warm bowl of soup using mint leaves and egg. Add 2 cups of fresh mint leaves into 2 cups of boiling water or chicken stock. Let boil for 2 – 5 minutes. Stir in lightly beaten egg. Serve warm. Make your own herb butter – to be precise, mint butter. Blend mint leaves and butter until well combined. Goes well on toast, mashed potatoes and fish. Prepare your own herb infused oil. Peppermint infused olive oil can be whisked into vinaigrette or drizzled on steamed vegetables. Fancy ice cubes to impress your guests. Simply freeze mint leaves in ice cubes and pop into lemonade or any preferred drinks. Make your own mint syrup to flavour your drinks or desserts. Simply boil mint leaves with one part sugar to two parts water. Mint is a natural insect repellant. Place sprigs of mint by doors and windows or better still, place a pot of mint plant near door way, kitchen counter or dining table. Relieve sinus congestion with peppermint steam. Bring a pot of water to boil. Add mint leaves and turn off the heat. Lean over the pot, drape a towel over your head and breathe in the minty steam. Enjoy a stress relieving bath by adding a handful of fresh mint leaves to the tub. The menthol that present in mint is a natural muscle relaxant, helps to relieve stress, aches and pains. There are so many wonderful uses for mint leaves. Why not plant your own? You may also use mint ornamentally to beautify your home and garden. Grow it as a ground cover or potted plant. Caution though: When planted in good soil, mint grows wild and can overtake garden or lawn. It is advisable to grow mint in pots. Are you interested to grow herbs indoor year round? 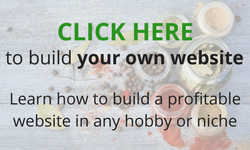 Click here to find out how. Did I entice you to buy a mint plant? Yes. 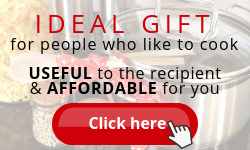 Click on below to see what is available for you! Mint is NOT recommended for people with heartburn or gastroesophageal reflux disease (GERD) because it relaxes the muscle in the oesophagus and stomach, thus worsen the acid reflux. Fresh peppermint leaves or peppermint oil should not be given to children because the menthol content can be dangerous to their growing bodies. Never consume pennyroyal oil because it is so potent that it should be considered toxic. Before I leave, I would like to share a Greek myth with you. Greek mythology contains many stories of the transformation of individuals into plants and trees. Mint plant is one of them. Mint derives from the Greek mythical character Minthe, who was a river nymph. Hades, God of the Underworld, fell in love with Minthe. When his wife Persephone found out, she turned Minthe into a plant so that everyone would walk all over her and crush her. Not able to undo the spell, Hades gave Minthe an aromatic scent so that he could smell her and be near her when people walked on her. Now you know much more about mint leaves. How to use mint leaves? Tell me! Perhaps you may have betters ways. Do share with us your experiences with mint. What do you use them for? Any recipes to share? Now go make yourself a refreshing mint drink. I look forward to having one too. A very thorough post! I love herbs, my mum used to grow herbs in a huge way. Our front yard was just herbs. Reading of the kinds of mint, reminded me of that garden. I remember some of the names too! Who would have thought it had so many uses though! My favourite combination, is mint and strawberry smoothie. Yum! I like your website, keep posting great articles! I do have a small back yard garden. Basil is growing very well. Unfortunately, mint is not. A bit slow this season. That’s why I need to buy from the grocery which leads me to writing this post. 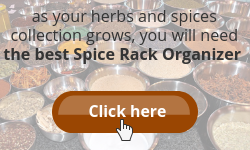 Do visit again for more articles on herbs and spices. This was a really helpful post – thanks! I was considering planting mint this past year in my herb garden, but I chickened out as I didn’t know which kind to use, or really, how to use it other than in teas… and honestly, I like my mint tea bags a lot already! But now, I think I might just give it a try next year! In a pot – thanks for that helpful tip – and do Peppermint. Sinus congestion, mosquitos… mint fruit combo drinks… sounds lovely! I love the flavor and scent of mint! Love that little mint History tidbit too! Thank you for visiting and am glad that it is of help. 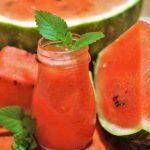 I love the watermelon with mint drink. It is truly refreshing. Very interesting. I had no idea of all the uses and benefits of mint. I knew about the taste and that it helped with stress relief but I was very interested in the health benefits. I live in a hot climate (southern Arizona). Would I be able to grow mint here? If so, how should I do it? I return again to learn more about herbs and spices. Thanks for your good work. Yes, you can grow mint in Arizona. Plant mint in a large pot as it needs space to grow. Can be invasive if you plant them on the ground. Mint can bare a lot of sunlight but best located in afternoon shade conditions during summer. They need a lot of water but ensure the soil are well-drained. So make sure you use a pot with bottom holes. I live in a tropical country and grow mint and basil in pots all year round. Basil is fine but mint has its ups and downs (unfortunately). All the best in growing mint! Hope to hear from you soon. Great article! I never knew their was so much going on with mint leaves. I never knew their was such a variety to the types of mint leaves. 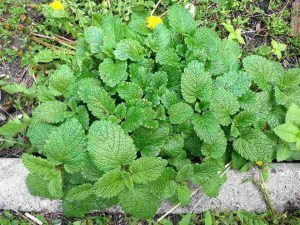 I have wanted to plant mint for a while in my house so I am thinking after reading this post that I am going to have to plant some apple mint as well as the classic peppermint. Thanks for visiting Austin. Initially, I didn’t know there were so many types of mint too. Happy planting and have a minty refreshing day! Very informative. I did not know the origin and the only mint I knew about were peppermint and spearmint. It is amazing to see that there are so many benefits and types. Next to peppermint tea with some honey which I find lovely, a stress relieving mint bath sounds great to me. Great article. Thank you Jo, for visiting and kind words. Mint tea is one of my favourite after dinner drink. 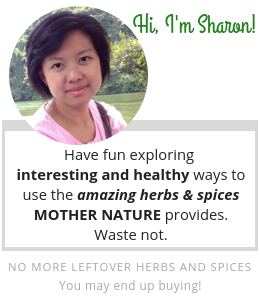 Do drop by again for more posts on herb and spices. There are so much we can learn. A great page, well written, easy to read and informative. I had no idea there were so many types of mint, never heard of apple or pineapple mint before, and certainly never seen it for sale here in the UK. I never thought about putting mint leaves into ice cubes. What a great idea! A favourite use of mine is to make a lemon, mint and garlic sauce for rack of lamb. Absolutely delicious! Thanks for your positive words Marc. Mint and lamb is a classic match. Do try making mint leaves ice cubes and add to your lemonade. They are very pretty and refreshing to drink once the ice melt. Who knew there could be so much detail to discuss on one herb? I’ve always like mint flavored things. In fact my mom always used t mak me a chocolate birthday cake with h mint frosting. As a kid, I thought it was just something in candy and was blown away when I learned that it came from a plant. We’ve been doing blue apron for the last few months and they have sent us multiple recipes that include mint. It’s been fun to try it in new ways. Thanks for dropping by Dustin. There are lots more to learn about herbs and spices. Do visit again. I love mint! I have a situation where I did not grow my mint in pots and it has definitely taken over a corner of my garden! Oops! But I love it and use it frequently in drinks and salads mostly. Another thing I didn’t realize is all the different varieties of mint! Chocolate mint? I never heard of it! But I have got to try it! I am not wondering what kind of mint I am growing in my garden! I always thought it was peppermint, but who knows?! Great post! Thanks for all this great information! Thanks for dropping by Dani. Wish my mint plant grown like yours. It is growing very slowly this season. 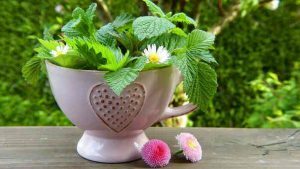 mint is my favorite herb and you made me realize in your article how many great effects it has. I use mint a lot and the scent always gives me a refreshing feeling as if it is always a fresh start. 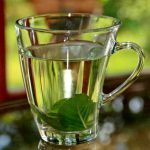 I particularly drink a lot of mint tea and I found that it by majority my first choice of any herb tea. Thanks again for a very detailed and informative article. Thank you for taking time to comment on my article Orion. I love mint tea too, especially after my dinner. It is very relaxing. I have been taking mint for my whole life, but I have no idea there are so many varieties. I have heard of winter mint, and spearmint. When you mentioned chocolate mint and pineapple mint, I was totally shocked. I mean seriously that is just awesome. I am just wondering if it actually tastes good. I know regular mint tastes good, but other types of mints will have to be left up to my imagination. One very interesting thing you mentioned is that mint goes well with lamb. My wife hates eating lamb meat because of the strong smell. She has a very sensitive nose. I have a feeling that this is the ideal solution to it. I am going to buy some lamb and give it a try now to see if we can change her appetite. Thank you. It seems mint is good for many kinds of common colds too. Have you tried all of them too? Not all. I have tried 2 types only, which are the common ones. Peppermint and spearmint. I have some planted in my small back yard garden. Lamb and mint are the perfect match. Try this simple recipe. Finely chop 1/4 cup fresh mint leaves. Add them into 1/4 cup boiling water together with 2 tablespoons cider vinegar, 2 tablespoons sugar and a pinch of salt and pepper. Cover and steep for 20 minutes. Serve with lamb dish. Yummy! Whoa, I didn’t know there were that many kinds of mint leaves. I personally love mint tea, more specifically, spearmint tea. I try to drink a cup day and evening. It’s been proven to have benefits for hormonal imbalance, which I have. So I’ve grown to love drinking it, along with some lemon juice. It’s simply refreshing. You are absolutely correct. Mint tea with lemon is very refreshing indeed. One of my favourite too. Hello Sharon, amazing topic mint..
And who knew there could be so many..
Did not know about mint for sinus congestion either. I also like lemon mint. And mint is so versatile to cook with also. I so do like coming here! Like you, I didn’t know that peppermint steam can relieve sinus congestion. Isn’t it wonderful that these leaves can help in simple ways? And my family loves the mint leaves with egg soup. It is really soothing. You should give it a try. Add 2 cups of fresh mint leaves into 2 cups of boiling water or chicken/vegetable stock. Let boil for 2 – 3 minutes. Stir in lightly beaten egg. There you go, simple and nice. Enjoy! You have a good day, Ariel. I didn’t know there were so many different varieties of mint. You mentioned orange mint. I used to drink a hot tea that was orange mint and it was so flavorful. I have thought of growing different herbs from time to time, but since I don’t have a green thumb, I have steered clear of it. I appreciate all the great info. 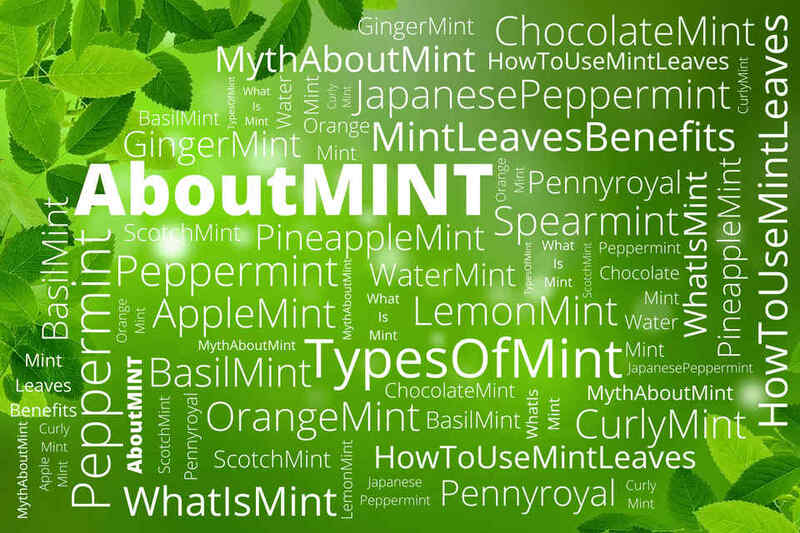 Yes, many of us are not aware of the many varieties of mint. I didn’t know too until I do our grocery shopping and discovered 3 types which made me curious to find out more. Growing herbs are pretty easy. And you don’t really need a green thumb. I don’t but managed to grow a few which I used frequently, namely mint and basil. Surprisingly, I grew a lemon tree and two avocado trees too! And my mulberry tree bears fruit very well. Now, you should try growing your own herbs. Start with a herb garden starter kit. A basic kit includes pot, soil and seeds. In this case, you don’t have to go through the hassle of buying these separately. Instructions are included in the kit to help you get started. Once you are familiar with the process, you may consider buying seeds of your preferred herbs to grow. Or nursery-bought seedlings. 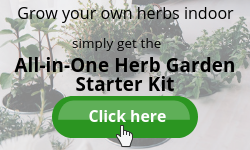 Check out my review of Indoor Herb Garden for Beginners – there are a few choices which I believe can help you get started. Also, there is some useful information on how to grow herbs indoor year round. In this article, there is a step-by-step guide for propagating, transplanting and growing from seeds. 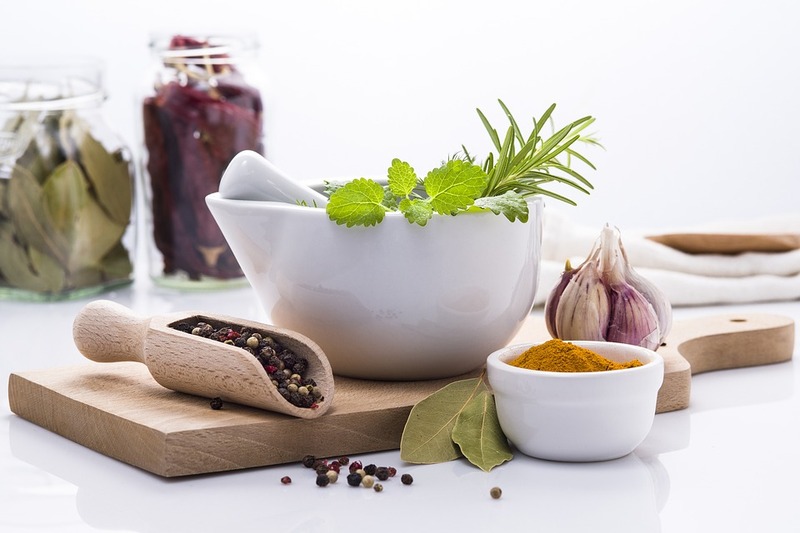 It will be wonderful to have your own fresh herbs anytime you need them. Go on. Grow them! Should you need further help, please feel free to contact me. Happy Herbs Growing and All the BEST!